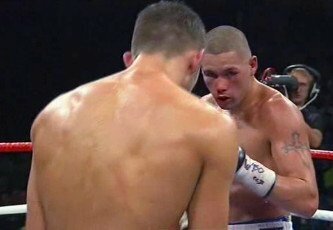 By Michael Collins: Making his first defense of his WBC International Silver light heavyweight strap, Tony Bellew (18-1, 12 KO’s) has a fight coming up against Argentinian Roberto Bolonti (30-1, 19 KO’s) on November 17th on the undercard of the Carl Froch – Yusaf Mack fight at the Capital FM Arena, in Nottingham, England. According to the 29-year-old Bellew this was the highest ranking contender that was willing to face him on short notice like this. The fact that Bolonti so readily agreed to take the fight suggests that he sees something in Bellew’s fighting style that makes him believe he can win this fight. Bellew is coming off of two good victories over Danny McIntosh and Edison Miranda in his last two fights with both victories coming by knockout. Before that, Bellew lost a controversial 12 round majority decision against WBO light heavyweight champion Nathan Cleverly last year in October in a fight that appeared to be a draw at the least, if not a victory for Bellew. However, Bellew needed to put in an especially strong effort if he wanted to get a win because he was after all the challenger. Bolonti, 33, looks to be a pretty average fighter in the fights I’ve seen of him on Youtube against the likes of Jose Hilton Dos Santos and Jose Alberto Clavero. He has okay power and seems to put a lot of pressure on his opponents. Bolonti’s power isn’t on the same level as Bellew’s, but he’s a big enough puncher to get your attention if he can land often enough. The only question here is whether Bolonti will be around long enough to give Bellew any troubles. If Bolonti can take Bellew’s power shots then he can give him some problems because Bolonti is a pure pressure fighter and he makes it tough on his opponents. He’ll put Bellew under a lot more pressure than Miranda and McIntosh did that’s for sure. I don’t know that’ll mean a victory, though, because it could cause Bolonti to get knocked out awfully quick.